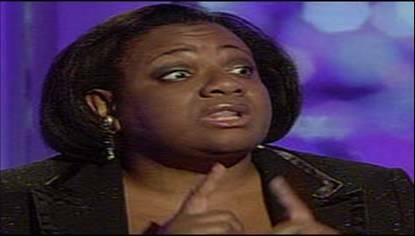 Capitalists@Work: Diane Abbott for Chancellor ! Diane Abbott for Chancellor ! "[David Miliband] declared £180,000: I have £1,700. Even you, Polly, wouldn’t say that David Miliband's politics are 10 times more popular than mine in the Labour Party"
Nope Diane, your popularity is measured in quite a different multiple ... even if Polly is too polite to point it out. Poor Dianne. She must be wishing she hadn't stood up. "Better to keep your mouth closed and be thought a fool than to open it and remove all doubt"? You all have it wrong. The leader of the party does not need to be able to add two numbers together - much less multiply. That is why Tony Blair had Gordon Brown. I have no sympathy for Abbbbot, but most of us speak imprecisely, so cut her a little slack. (Even though it is funny). ASLEF have chosen her for their political backing. I was at a meeting last night. Why is a Conservative like me doing this ?